The Hilton Templepatrick Hotel and Country Club is set in 220 acres of wooded parkland within the Castle Upton Estate in Templepatrick, County Antrim. 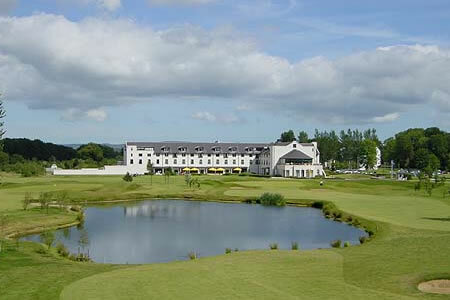 Hilton Templepatrick has a golf course, a health-club and modern conference and banqueting facilities. Ideally suited to a wide range of events from residential conferences and board meetings to wedding receptions and family celebrations. The Hilton Templepatrick Hotel and Country Club has modern conference facilities with a business centre and BT Openzone wireless broadband available in the lobby. 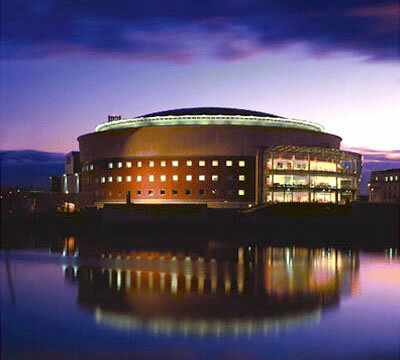 It is situated just 15 minutes from Belfast and the International Airport. Free car parking. When planning your next meeting, a productive, successful, hassle-free event is probably top of your agenda, which is why you'll be glad of Hilton Meetings. 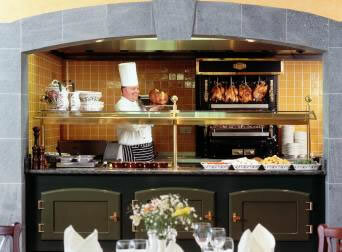 Available in this hotel, they guarantee the same high standard of service in each of their Hilton Meetings room. Modern Communications. Friendly and Timely service. Fresh ideas in food and drink. Online resources to inspire and support you... All you have to concentrate on is business! Hilton Meetings has been designed specifically for the needs of small to medium meetings. 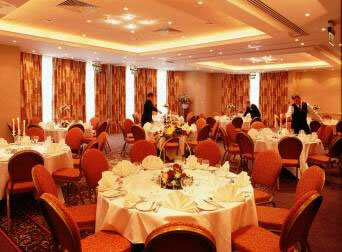 The Castle Upton Suite is the principal suite at the Hilton Templepatrick. This prestigious venue is equipped with crystal chandelier lighting and an array of technical facilities which include a state of the art sound system and air conditioning. This fully accessible room is conveniently located on the ground floor and can accommodate up to 500 guests and as many as 280 for dinner dances. The room benefits from a separate private entrance and reception area; so for luxury and private events, look no further than this versatile suite. Each of the spacious Deluxe Bedrooms offer a range of thoughtful amenities including soft bathrobes and welcome tray. 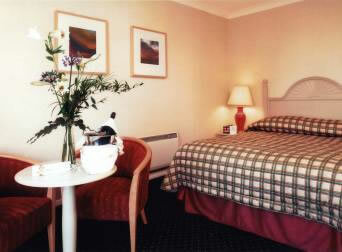 All rooms come with broadband internet access. These rooms have a view overlooking the spectacular golf course. Family Rooms are available. Situated within 220 acreas of parkland this hotel boasts a championship golf course, tennis courts, health-club with pool and beauty therapists. Kinahan's brasserie offers an informal menu and views over the golf course, while they have fine dining in Treffener's Restaurant.